Dr. Fifadara has practiced many types of dentistry over the course of her career, but she still believes a prevention-first approach is best when it comes to someone’s dental health. By being proactive and working to stop cavities and gum disease before they actually develop, she helps our patients enjoy beautiful, problem-free smiles year after year. To schedule you or your child’s next appointment so our team can safeguard your teeth, contact us today. 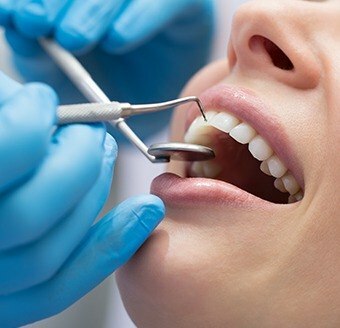 Why Choose Fulshear Dental for Preventive Dentistry? Routine checkups and cleanings are at the forefront of preventive dentistry. By visiting Fulshear Dental at least once each six months, Dr. Fifadara can keep a close eye on a patient’s teeth, gums, and jaw to make sure little problems don’t have the chance to turn into big headaches that require expensive treatment. 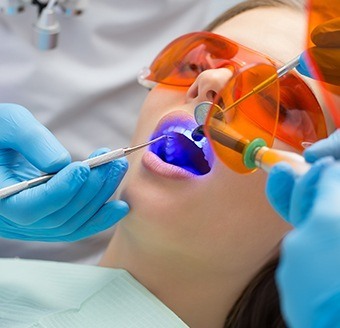 Plus, professional cleanings won’t only remove cavity-causing plaque from those hard to reach areas of your mouth, but they will also break up surface stains on the enamel to protect the color of your smile! Dental sealants are able to shield the teeth from plaque, bacteria, and food particles in order to prevent cavities. A thin, clear layer of composite resin is applied directly to a tooth, and within seconds, it hardens into an invisible barrier that protects it. We typically only use sealants on the back teeth as they are the most likely to develop decay due to their location and deep crevices. 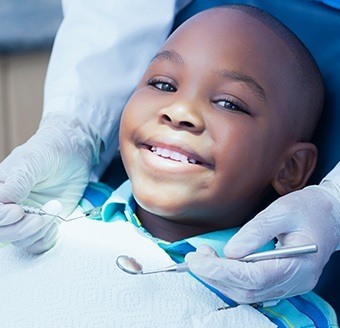 Sealants are very helpful for children as well as adults who are prone to getting cavities. 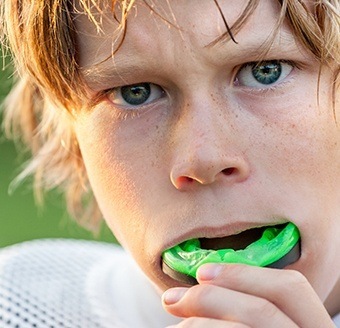 Nothing takes an athlete out of a game faster than a broken or knocked-out tooth. Thankfully, these kinds of accidents can be easily avoided if someone just wears a mouthguard every time they play. 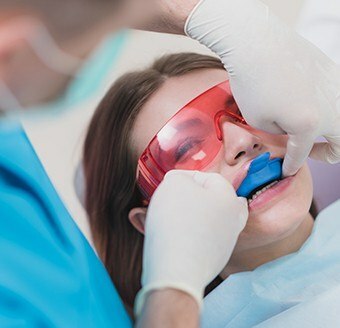 Dr. Fifadara can supply patients with custom-made guards that are designed for their unique teeth, making them more comfortable and protective than any generic guard you can buy at the store. They also allow for easy speaking and breathing, meaning many athletes forget they are wearing them at all. Does your jaw and/or head ache every morning? That’s certainly not a nice way to wake up, and the problem is likely due to bruxism, or unconscious teeth grinding while you sleep. Over time, this can strain the sensitive muscles in the face and even cause the teeth to crack, but a solution can be found right here at Fulshear Dental. 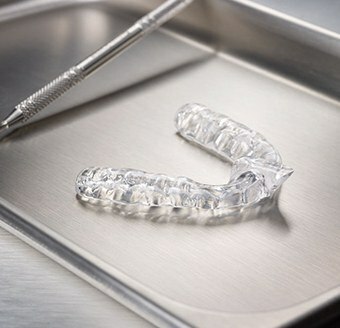 Dr. Fifadara can provide you with a nightguard, which is a small, custom-made oral appliance that fits over the teeth and prevents them from touching each other while you sleep. An oral cancer screening will be performed every time you come to see us because early detection is essential to the successful treatment of the disease. To help her find potentially cancerous cells even easier, Dr. Fifadara uses a device called ViziLite, which literally causes suspicious areas in the mouth to light up. Should she find anything, she can arrange for a patient to get a biopsy and more proper diagnosis right away so they have the best chance of beating cancerous cells. We love fluoride here at Fulshear Dental because it is nature’s gift to your smile! When the teeth are regularly exposed to this mineral, it both strengthens the enamel and helps remineralize any areas with minor damage, drastically lowering someone’s risk for cavities. In addition to using a fluoridated toothpaste at home, we can provide you and your family with a topical fluoride treatment at your regular checkups. We simply coat the teeth with a highly-concentrated solution for a minute or so – this will go a long way in keeping everyone healthy between appointments. Children are always welcome here at Fulshear Dental, and our team goes out of their way to ensure every growing smile has a great time at the dentist’s office. We can help children of all ages avoid cavities and fix minor problems, putting them on the path to a lifetime of healthy smiles. We’ll even use their appointments to teach them about the basics of dental care so they can form good habits that will serve them well into adulthood. We take care of more than just the teeth here at Fulshear Dental! If you have red, puffy, or tender gums that bleed every time you clean your teeth, then you might have an infection called periodontal disease, which is also commonly known as gum disease. This can develop if too much plaque and bacteria accumulate along the gum line. Our team can quickly take care of this problem using special cleanings, topical antibiotics, and even a diode laser that’s able to eliminate harmful bacteria with extreme speed and precision.